I have been fighting a virus for several weeks. My doctor tested my vitamin D level and it was 8. She put me on 50,000 IU twice a week (prescription) plus 800 iu daily (OTC D3). After investigating Vitamin D deficiency and coming across your very informative website I learned that the prescription D2 is not as effective. I decided to take the Vitamin D 50,000 IU once per week and supplement with 10,000 iu daily of D3 which is about the same dosage overall as prescribed. I should probably abandon the D2 altogether but I already filled the prescription and for some reason I have a hard time going against my doctors instructions - at least totally against them. I am going to call to see if she has any objections to me switching to 15,000 D3 daily. I know it will take time to build my level up but I'm wondering if I'm taking 10,000 iu plus per day on average and my body is using 3,000 - 5,000 per day will I feel normal i.e...as if my level was optimal - if my body has the Vitamin D available to use daily - or do you not feel your best until you get to the 40-50 range of overall level? I have at least another month before I can get any kind of value from the sun but I plan on utilizing that as well. Thanks! Everyone is so different that it is hard to say when you will feel better. It all depends upon your metabolism, how long and how severe your health problems are, and whether your only issue is Vitamin D Deficiency. 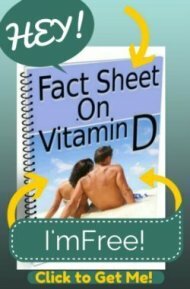 I have had people feel better the first dose of vitamin d that they take- even with severe vitamin d deficiency like yours. And I've had people that it takes several months to feel better when their deficiency was not that severe. I'm no help am I!? So, I'm glad that you've educated yourself about Vitamin D3, then you can at least make choices and decide what to do next. Then, when people become educated and more and more people begin this discussion with their doctors, their doctors will become educated and will hopefully start reading up on the literature and make better choices for their patients as well. It's a shame that it has to be a 'bottom-up' education instead of doctors knowing the best thing to prescribe for you, but that's the way it is right now and only time and education will change that. Thanks for writing in and being willing to question your doctor and be your own advocate for your health. Yeah! Your site is great and so informative. I mentioned I had a virus that started 9 weeks ago. I am still suffering from chronic fatigue to the point of it being debilitating. I have not been able to work since it started. My doctor now tells me that the fatigue is caused by the low level of vitamin D. I tested at 8 three weeks ago and have been on ~100,000 IU per week since. Is it possible to have this type of debilitating fatigue from the vitamin D deficiency? Absolutely. One of the Symptoms of Vitamin D Deficiency is profound fatigue. Vitamin D Deficiency can be so debilitating that Fibromyalgia and Vitamin D deficiency are very often confused- unfortunately causing many people to be misdiagnosed with Symptoms of Fibromyalgia unnecessarily. 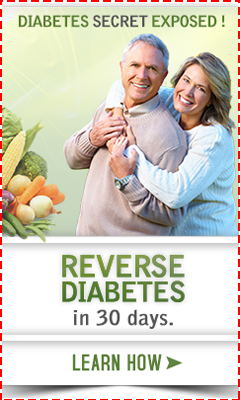 Be sure to take magnesium as per myMagnesium Dosage page as well. Since magnesium is required to process vitamin d, you could feel worse if you don't take it. Carnitine Deficiency or other problems that your doctor is not going to check you for- nor would you benefit if he did because testing for these is worthless. Rarely do people have ONE vitamin deficiency that causes their problems. So, not meaning to bum you out, but if the vitamin d doesn't turn out to be the 'magic bullet', then come on back and we'll brainstorm some more.